Egypt had attested different civilizations. In this journey you can overview Egypt through different looks. You can see the ancient civilization and Modern country as you go around it, seeing the ancient monuments in Cairo, Aswan and Luxor. Then enjoy diving and snorkeling in Hurghada. After your breakfast you will be accopmanied by your personal guide to Giza Plateau to visit one of the seven wonders of the ancient world, the Great Pyramids of Cheops, Chefren and Mykerinus, famous Sphinx, varying between six-thousand and even thirteen-thousand years old ,and Valley temple facing the great statue. 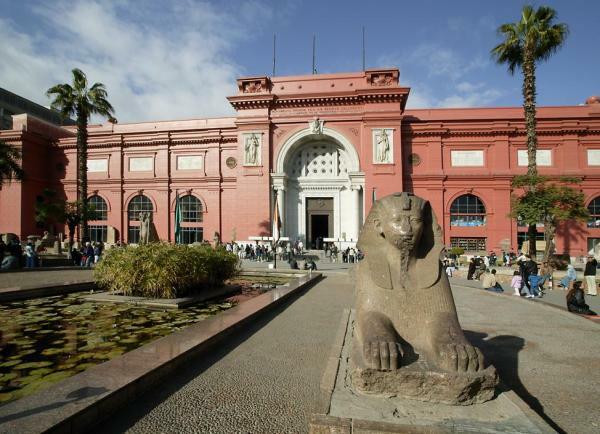 Then transfer to enjoy the Egyptian Museum, Treasures room for the child king Tutankhamen. Continue to Coptic Cairo to visit the Hanging Church and Ben Ezra Synagogue. Combining fascinating history with shopping in a lively Khan El Khalili Bazaar, this dates back to 1382. Later, you will be transferred to Giza railway station to board the sleeper train to Aswan-dinner and breakfast will be served on board. Overnight inside your compartment. You will be met at Aswan station, then transferred to your hotel. start your trip to Abu Simbel Temples. It takes about a 3 hour and half drive one way from Aswan to Abu Simbel by a private air-conditioned vehicle. Upon arrival at Abu Simbel, enjoy the impressive Temples of Ramses II at Abu Simbel, which is dedicated to the four universal gods Ptah, Re-Harakhte, Amun-Re, and to Ramesses II. Then return to Aswan. Overnight in Aswan. After Breakfast, have a blissful day starting with the High Dam and the Unfinished Obelisk Probably belonging to Queen Hatshepsut, it is considered the largest piece of stone ever made. Then on to the beautiful Temple of Philae, which is devoted to the goddesses Isis and Hathor. Transfer by air-conditioned vehicle to Luxor. From Aswan to Luxor is about a 03 hour drive one way. Check-in and overnight in Luxor. After an early morning start , no time is wasted as you are taken on an incredible excursion to the Valley of the Kings to see the magnificence of the grandeur of architecture which was used for burial. After that enjoy El Deir Bahari Temple which was built by Queen Hatshepsut, daughter of Thutmosis I, who ruled Egypt about 20 years during the 18th Dynasty. Then onto the Colossi of Memnon. Also, a visit to Karnak & Luxor Temples is included. Overnight in Luxor. Breakfast, free morning in Luxor. In the afternoon, you will be transferred to Hurghada by a modern air-conditioned vehicle about a 03 hour drive from Hurghada and check-in at your hotel. Overnight in Hurghada. Free day in Hurghada or extra activities not included to enjoy excellent diving and snorkeling among the Red Sea coral reefs and seeing some amazing rare fish. Or choose one of the many other activities such as windsurfing, sailing and deep-sea fishing. Overnight in Hurghada. Breakfast at hotel, and then you will be driven to transfer from Hurghada to Cairo by a modern public air-conditioned bus about a 06 hour drive far from Cairo. Overnight in Cairo. Accommodation for 1 night in Aswan including daily breakfast. Accommodation for 2 nights in Luxor including daily breakfast. Accommodation for 1 night on sleeping train on half board basis. All sightseeing tours in Cairo, Abu Simbel, Aswan and Luxor. Transfer by a private vehicle from Aswan to Luxor. Transfer from Luxor to Hurghada by a modern air-conditioned vehicle. Transfer from Hurghada to Cairo by a modern air-conditioned bus.